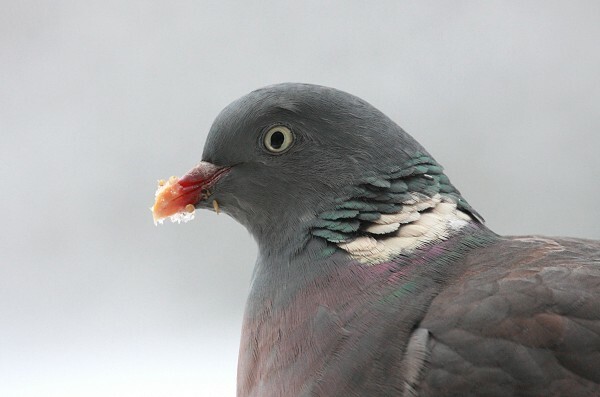 The woodpigeon is the largest and most common member of the pigeon family in the UK. 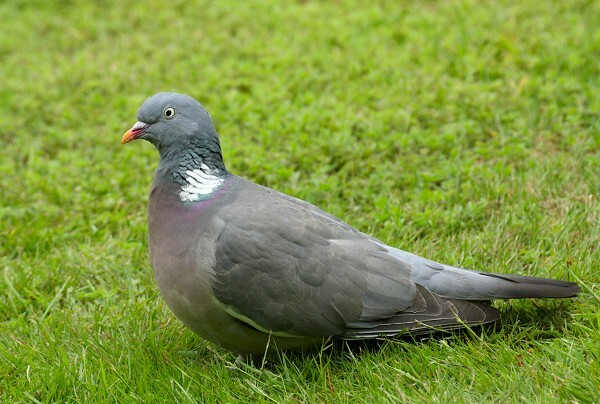 It has a blue/grey head and back, a pink/grey chest, a characteristic white neck patch (in adults only) and a black tip on its tail. They make a familiar cooing call.